“Left & Right” is pure cosmic funk built around a deep, teetering bassline with plenty of glimmering textures to shoot you up to the stars. Midway through we’re treated to an extra layer of groove before returning to the core idea, a chance to flex your dance moves. 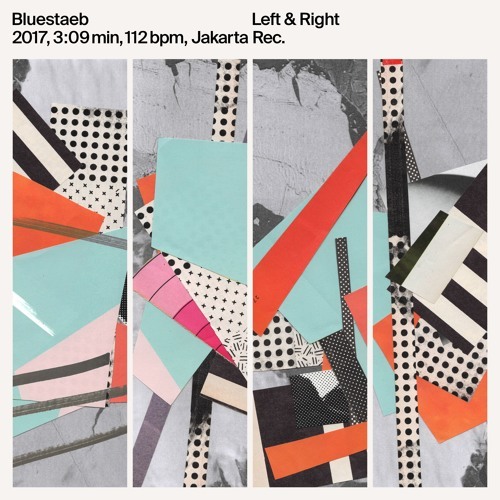 Then, just as suddenly, Bluestaeb gives us a slice of mellow, funky house that would be at home on the decks with cuts from Jack J or Pender Street Steppers. Put this on at your cocktail party, but don’t be surprised if you’ve suddenly got a dancefloor on your hands.